Home Guides How to Franchise Express Pay? 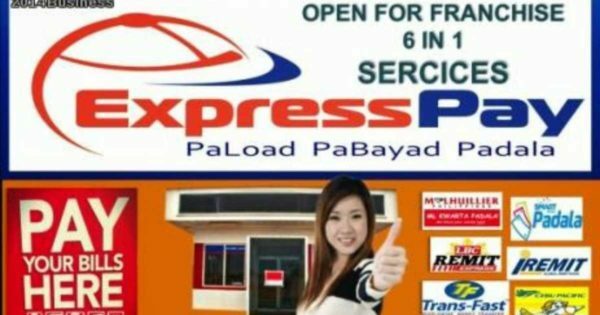 Promising low investment, high profit, and fast return on investment, Express Pay is an e-commerce business which includes local and international money remittance, Bayad Bills Payment Center, Eload-Prepaid Load, Travel and Tours, Courier Services as well as other online based services. It’s a highly profitable and low-risk franchise business which gives return of investment generally within six to 12 months. It also increases the customers traffic of your existing business. It has an integrated online e-payment system that is easier to use and provides real-time, detailed reports which are accessible anytime and anywhere. It has a single load wallet to maintain for all services maximizing the full earning potential of your funds. It also allows easy account reconciliation for all services. It has a very low start-up cost. To help maintain your profitability, it offers exclusive franchise territory. Promising a growing service portfolio, it offers more services with no additional cost in the future. Here are the franchise packages. Contact Express Pay through this link.